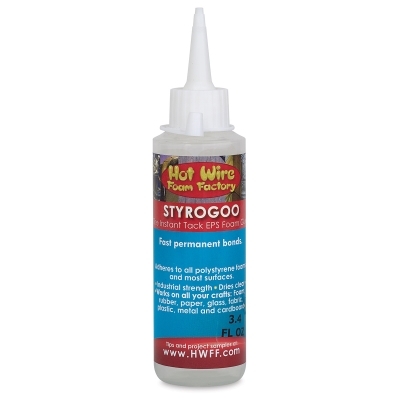 With instant tack and industrial strength, Hot Wire Foam Factory Styrogoo is an essential for craft and hobby projects. It permanently bonds to most surfaces, including expanded polystyrene (EPS) foam, foam rubber, paper, glass, fabric, wood, plastic, metal, and cardboard. 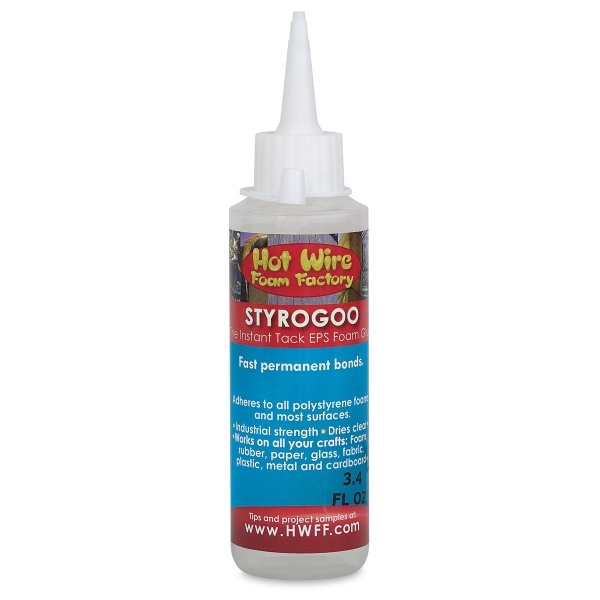 Styrogoo dries fast and clear, and doesn’t cause wrinkling, even when used with paper. It retains permanence whether your project is safe and sound indoors or braving the elements outside. It’s flammable and contains toxic substances, so it should be used carefully and kept out of reach of children.